John Abraham malayalam movie directed by Arun Sithara will have Rudra Dileep in lead. The movie is being produced under the banner Janasarani Films. Jagadeesh, Premkumar, Kalashala Babu, Tony, Manuraj, Ajayan Adoor, Seema G Nair and Shanthakumari will give life to other prominent characters in the movie. The shooting of the movie is currently progressing in Udhaya Studio. John Abraham is a celebrated personality who rose to fame with his unique style of film making. His nomadic style of life and way of thinking too made the film maker a genius among the movie lovers. Being ranked among the greatest Indian film directors, the creations of John got appreciation from various institutions. After 27 years of his death, a project is under production which zooms into the life of this great person. The movie titled 'John Abraham' will be directed by Arun Sithara with Rudr Dileep in lead. The movie is being produced under the banner Janasarani Films. Jagadeesh, Premkumar, Kalashala Babu, Tony, Manuraj, Ajayan Adoor, Seema G Nair and Shanthakumari will give life to other prominent characters in the movie. The shooting of the movie is currently progressing in Udhaya Studio. The camera is also wielded by Arun himself. Even though there had been a number of film makers who lived before and after, none could gain as much popularity as of John Abraham. Tagged with a nick name 'Ottayana'(The Lone Tusker) and 'people's artist', John, the romantic artist believed that cinema could be effectively used as a tool for social changes. Other than staying behind the camera for documentaries like Koyna Nagar, Priya and Hides and Strings, the film maker helmed projects like Vidyarthikale Ithile Ithile, Agraharathil Kazhuthai, Cheriyachante Kroorakrithyangal and Amma Ariyan. 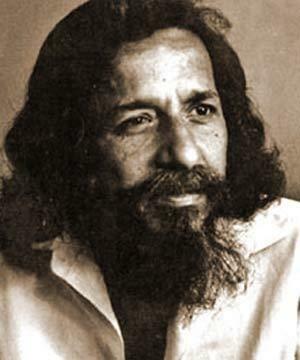 His Tamil movie Agraharathil Kazhuthai gave him an international reputation while it was listed among the "100 Greatest Indian Films" of all time by IBN Live's 2013 poll. John who was typically a genius had an original perspective on every issue. Arun Sithara's movie 'John Abraham' will pool into the life of John, movies and his tragic death. Movie enthusiasts who got a chance to know the life of historical personalities would be yet again getting an opportunity to know about 'John Abraham', the legendary director who gave his own signature touch to film making.